In case you haven't seen the changes, watch this. 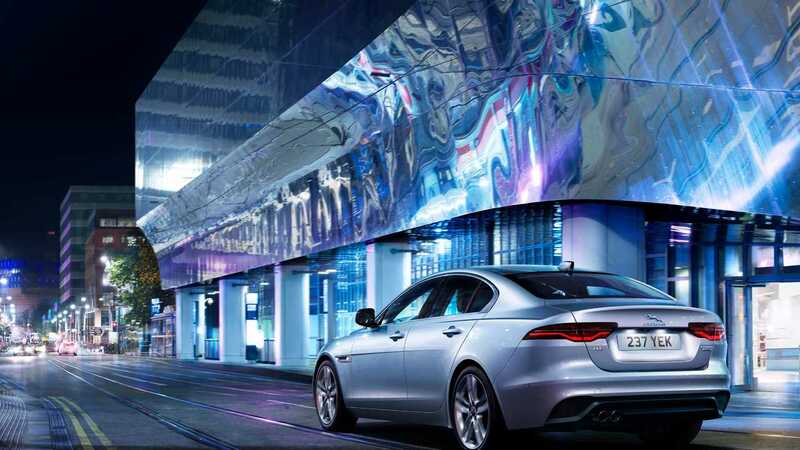 There's a new Jaguar XE. Although it's just a mid-cycle facelift, the changes are definitely noticeable but somehow a game of Where's Waldo for some. If you're the latter, you're in luck as the brand has released a video to show the exact changes in its new sedan. Up front, the most noticeable change is the slimmer LED lighting. It has matrix LEDs, automatic high beam, a new signature light graphic, and animated turn signals. The grille is also widened a bit and features an all-black outline. The front bumper has also been redesigned, given a sportier look and a wider stance. The front apertures are larger, as well, and the chrome strip removed from the outgoing model. At the rear, the 2020 Jaguar XE gets slim taillights that show a different LED signature and the animated turn signals. The rear bumper is also restyled to accommodate the new rear valence and the repositioned twin tailpipes. In profile, the only thing that has changed is the updated set of rims. Aesthetically, even with the small changes, the Jaguar XE somehow transformed into a somewhat-sporty sedan, as opposed to its rather classy predecessor. The cabin is where the more obvious updates reside. Apart from the new steering wheel, the center console is given a second screen to house the controls for air conditioning and more. Rotary dials are retained while wireless charging capability is added. The SportShift selector is also new, along with the F-Type-derived Jaguar Drive Control selector. Lastly, there's an increased storage space by the doors.